The many Windows 7 users should probably start to look around for an upgrade of their operating system. The reason? Microsoft will no longer release security updates for the OS from this day next year. Extended support for the operating system will end on January 14, 2020. From that date, Windows 7 will be a very interesting target for cybercriminals. About 37% of all desktop computers currently runs Windows 7, and when they no longer receive security updates it’s a matter of time before criminals will exploit new vulnerabilities that won’t be patched anymore. Windows 7 was first released in 2009, and Microsoft ended mainstream support for the OS in January 2015. From then on, the Redmond software giant no longer added new features to the OS, but continued to provide security updates. A period Microsoft calls Extended Support. Only enterprise customers can continue to receive security patches, but only if they have a special contract with Microsoft. For regular users there is no known way to get updates anymore. We’re writing “no known way”, as when Extended Support ended for Windows XP in April 2014, some smart users found a way to continue to receive XP updates. This was possible because Microsoft continued to release updates for Windows Embedded POSReady 2009. This is a Windows XP based OS, designed for Point of Service usage. By changing some registry settings in a regular Windows XP installation, the same security patches as Windows Embedded POSReady could be installed. It’s unclear whether this still works, but Microsoft reports on its website that Windows Embedded POSReady 2009 continues to receive updates till April 9 this year. There is also a Windows Embedded PosReady version based on Windows 7 of which extended support ends in December 2021. So far it’s unknown whether there’s also a registry hack that would allow regular Windows 7 systems to receive PosReady 7 updates. We also think that it wouldn’t be very likely. Microsoft hopes Windows 7 users will upgrade to Windows 10. With the release of that OS, Microsoft offered Windows 7 and Windows 8.1 users the possibility to upgrade to Windows 10 for free. The company likely hoped most users would upgrade, but until the end of 2018, there continued to be more Windows 7 systems than Windows 10. 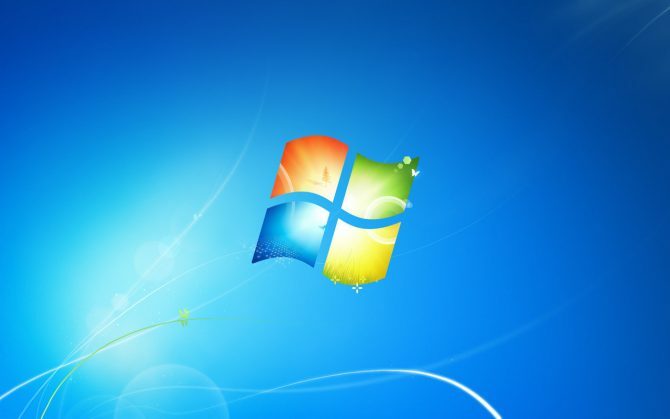 Therefore, there are now hundreds of millions of Windows 7 computers that need to upgrade to Windows 10 or move to another OS, such as macOS or Linux. Unless Microsoft offers another new free upgrade period, Windows 7 users will have to pay $139 for Windows 10 Home or $199 for Windows 10 Pro in the Microsoft Store. There is another option to pay less for Windows 10, websites like G2Play sell Windows 10 Home for $27.35 /€23.99 and Windows 10 Pro for $29.63/€25.99. (Get 3% additional discount with HFHNAX5Y). These are so-called OEM licenses and once activated they cannot be transferred to another PC. Once Windows 10 is installed, the system will continue to receive security updates as long as the bi-annual large Windows 10 updates continue to be installed. After such an update is released, Microsoft promises it will continue to release security updates for that version for 18 months.